Together with the new housing the "chip-on-board" or COB-technology was introduced in the manufacturing process. We know this technolgy already from the PS-2100 Databank introduced in 1992. 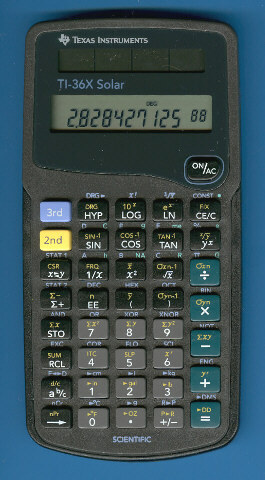 The calculator chip is attached direct on the printed circuit board and connected with small bond-wires. A small blob of epoxy resin on top finishes the construction. Don't miss a TI-36X Solar manufactured in China with a completely different internal construction. © Joerg Woerner, October 11, 2008. No reprints without written permission.